The ketogenic diet has proven to help many people manage their weight and blood sugar, and even improve heart health and protect brain functions. There’s clearly a lot to love about the keto diet, but there are also a few things you have to look out for, one of which being a protein deficit. It’s extremely important you get enough protein while on the ketogenic diet because that’s where you’ll get a lot of your energy from. Skimping on protein can lead to grogginess, diminished ability to focus, irritability, and may sabotage your fitness goals. That’s why many people turn to ketone protein powders to help meet their daily needs. Why Buy a Keto Protein Powder? Protein is key to thriving on the keto diet. One of its most important functions is providing energy to your body as it breaks down. When you eat lots of carbohydrates, they are broken down quickly by your body, causing a blood sugar spike, followed by a subsequent crash. However, proteins are broken down more slowly, so it doesn’t cause a spike in blood sugar or energy levels and doesn’t come with a terrible crash, instead it gives your body more sustainable energy that is able to keep you going for longer periods of time. Lots of protein powders are really effective at curbing cravings and keeping you full between meals, again, due to the fact that protein is broken down slower by our bodies. This can make it easier to stick to your diet since you won’t be as hungry between meals and obsessing over snacking. This, combined with the added fuel it gives you makes it easy to see why protein powder can also help aid in weight loss, especially when used in conjunction with the keto diet. It would take a really long time to list all the benefits of choosing a great keto protein powder because they almost seem endless. Proteins contain amino acids, which are incredibly important to just about every system in your body. Protein provides your body with essential amino acids that are vital in building and repairing muscles, bones, skin, and tissues, so it’s important you get the right amount of it each day. This egg white protein powder isn’t made from imitation egg, or some kind of egg extract, it’s made from fresh, humanely produced eggs. This means you can get all the benefits of egg whites without having to actually eat a bunch of egg whites every day. Of course, egg whites are delicious, but it’s way easier to just mix this powder into something, like coffee or a smoothie. And just like that, you have a cup of coffee or a smoothie that is packed full of protein and a perfect source of sustainable energy that you can use throughout the day. Whether you need it for athletic performance, or mental performance, this powder can help you where you need. Unflavored: This protein powder is also totally unflavored, so it mixes into just about anything. Some people may be hesitant of egg white powder at first, thinking it would taste like eggs, but that isn’t the case. It easily mixes into water, smoothies, juice, and just about any of your favorite dishes and dissolves quickly, thanks to the sunflower lecithin. Since it is unflavored, and only contains 2 basic ingredients, there are also absolutely no sweeteners, making it a perfect way to supplement your keto diet. 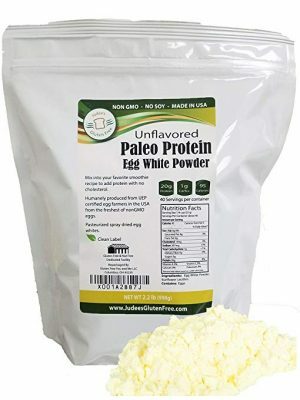 Affordable: Costing only $0.75 per serving, this egg white protein powder is super affordable, especially compared to some other powders on this list. Cost isn’t the most important factor, but it definitely can play a role when deciding between 2 or 3 different powders. Which one gives you the best bang for your buck? Gluten Free: With nothing but egg white powder and a little bit of sunflower lecithin, this protein powder is totally gluten free, so anyone can enjoy it. If you’re on a low carb keto diet, you’ve probably already cut out most sources of gluten since it usually comes with lots of carbs. It’s also soy and dairy free, so really anybody, regardless of food sensitivities, can use this protein powder. Aspartame Free: Aspartame was discovered in 1965 and has been used as an artificial sweetener since. It is 200 times sweeter than table sugar and is extremely common in diet sodas and sugar-free gums and candies. Although it has been approved by the Food and Drug Administration, World Health Organization, American Heart Association, and the American Diabetic Association, controversy has surrounded the sweetener for almost as long as it has been around. There have been claims have some pretty scary aspartame side effects, such as headaches, dizziness, mood swings, and even seizures, although there is not sufficient evidence to back up the claims. Still, I say it’s better to play it safe and avoid it, which is why I wanted to highlight that this powder is aspartame free, and a great choice. Low Sugar: If it isn’t being sweetened with aspartame, it must be sweetened with sugar, right? Wrong. This protein powder has less than one gram of sugar, cutting down on unnecessary calories. I have seen protein shakes that claim to boost weight loss, and then when I looked at the label it had over 25 grams of sugar! Each gram of sugar has approximately 4 calories, so that shake had over 100 calories worth of sugar in each serving. Whereas, this powder creates a shake with about as many calories in the entire thing, with only 120 calories per serving. Informed Choice Tested: Informed Choice is a quality assurance program through LGC, which has been testing supplements for purity and banned substances since 2002. LGC has over 50 years of anti-doping experience and they have tested thousands of products. The Informed Choice testing tests for over 200 substances which are banned in competitions or sports. So when this powder passes the test, it means that all of the ingredients have been deemed clean and safe, and that none of the ingredients are banned, which is great for athletes. Easily Digestible: Lastly, this powder has had all of the fat and virtually all of the lactose filtered out. This means your body does not have to work as hard to digest it and absorb all of the protein it offers. This is a huge advantage for me, because if something is going to mess up my digestive process, I don’t want to waste my money on it. This protein shake is super easy to make, just mix the powder into a glass of water or milk and in a few seconds you have a delicious, protein-packed shake. This powder is also easy to mix with other dishes and a great way to give your smoothies a protein blast. It is also extremely versatile and can be worked into all types of recipes, not just smoothies or shakes. This makes it easy to get some variety and switch up how you get your protein, instead of just drinking boring vanilla or chocolate shakes every day. This powder can be mixed with oatmeal, yogurt, homemade cookies, popsicles, and more. With this powder, it’s easy to give anything a protein boost. The only possible downside of this powder is that it comes in so many flavors it can be hard to choose just one. I tried the chocolate, and that is what the nutritional info above is based on, although other flavors may vary slightly in calories or price. 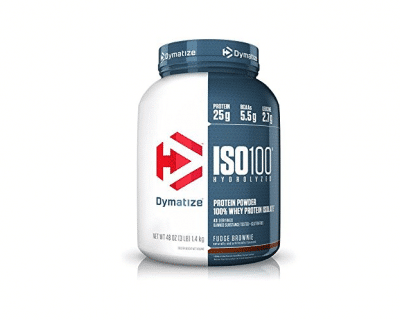 ISO 100 comes in 12 different flavors, including: gourmet chocolate, chocolate coconut, banana, birthday cake, strawberry, peanut butter, gourmet vanilla, orange dreamsicle, cinnamon bun, chocolate peanut butter, cookies and cream, and fudge brownie. Some flavors are limited to certain sizes, so keep that in mind while you are ordering. High-Quality Natural Ingredients: There are only three ingredients in this protein powder and none of them are hard to pronounce fillers or additives. Protein powders or shakes can sometimes be a little rough on your digestive system even without additives because you’re just consuming so much protein at once. However, if there are additives as well, it can be even harder on your digestive system and cause discomfort. It’s always a good idea to put all natural, high quality food in your system when you can and it just goes to show that you don’t need more than what you can get from mother nature herself. Pure Grass Fed Beef Protein: Each serving of this protein powder contains the same amount of protein, collagen, and gelatin as a 4 ounce serving of beef. This means you’re getting all the great amino acids, and the benefits that come with them, that are packed into the collagen and gelatin. Just a few of the health benefits of gelatin and collagen are improved skin, nail, and hair health, improved digestion, reduced joint pain and improved joint function, promoting calcium absorption and healthy bones, and controlling blood sugar, not to mention the high levels of protein. 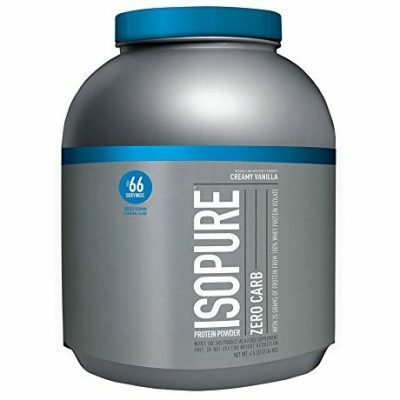 This specific protein isolate is a mix of 70% muscle meat and 30% gelatin and collagen. Lactose Free: If you’re lactose intolerant, a lot of protein powders are off the table for you since two of the most common forms of protein in protein powder, whey and casein, are both derived from milk. However, since this one is made from just beef, cocoa powder, and sweetener, it is a great choice for those who are lactose intolerant. You aren’t giving up any quality when you choose a beef based powder over a milk based one, and although it isn’t vegan or vegetarian friendly, it gives you all the same great benefits as milk based protein powder, including a burst of sustainable energy. Great Taste: On top of everything it gives your body, this powder also tastes great and can be mixed into almost anything. As a shake on its own, it’s great; mixed into a smoothie, it’s great, it’s even great mixed into various baked goods. It’s easy to mix a couple scoops into a bottle of water and take it with you to the gym or to work, but if you want an extra rich shake, you can also mix this powder with milk. This chocolate protein powder is great for satisfying your sweet tooth without breaking your diet. This protein powder is made from pure whey protein isolate, with each serving packing 25 grams of protein from it. A huge benefit of whey protein is its full range of amino acids, which are the building blocks of muscle building. 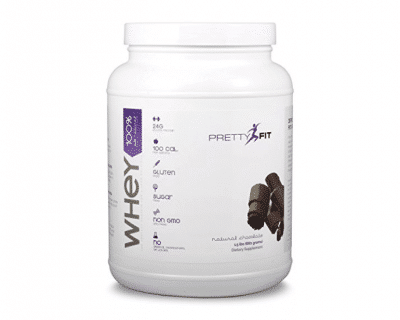 Whey protein isolate, which is at least 90% protein, is the most potent form of whey protein. Most of the lactose and fat and other stuff has been removed from the whey protein, although there is some left behind. Lastly, whey protein is absorbed by your body at a faster rate than other forms of protein. This means it is converted into energy faster and available for your body to use faster. This rapid absorption can mean quicker results, which brings me to my next point. Pre or Post Workout: This protein powder is great as both a pre workout and post workout supplement. As a pre workout, this protein powder can give you the energy you need to power through and push as far as you can. As a post workout, it goes to work fast, repairing damage done to your muscles and helping you recover faster. A faster recovery time means you can work out more often without being at such a high risk for injuries, although you should always allow your muscles to recover between workouts. When you work out, even though you are building muscle, you are also always doing at least a little bit of damage to the muscles you already have, and the faster those muscles are able to recover, the less damage is done, so a fast acting protein like whey is perfect for muscle recovery. Bonus Vitamin and Mineral Blend: Although the ingredient list on this powder is quite lengthy, and not the easiest to understand, most of those ingredients are just fancy names for various vitamins and minerals. This protein powder contains a blend of vitamin and minerals to give you even more of a nutritional boost. It contains essential electrolytes like sodium, potassium, calcium, chloride, and magnesium, as well as folic acid, biotin, vitamin A, and manganese, to name a few. These vitamins and minerals don’t contribute to the overall calorie or carb count of this protein powder, so you’re getting the added health benefits without having to really give up anything. Versatile: What makes Isopure a great choice for anybody is how versatile it is. You can mix into your smoothies using a blender or just dissolve into water using a spoon. You can also get creative and work it into various recipes, like pancakes. Not only are there several ways to mix it, there are also several different flavors to choose from. In addition to Dutch chocolate, there is also Columbian coffee, cookies and cream, espresso, mint chocolate chip, and mixed berry. This lets you mix up your smoothie flavors and keep things fresh, or allows you to find one flavor you love and stick with it. Either way, more options are always better when it comes to a great quality protein powder. A glance at the ingredient list will tell you that there are no fillers or frivolous additives in this protein powder. Usually fillers are added to prevent clumping or substitute other ingredients to keep costs low, but you won’t find any in this protein powder. Since there are no additives however, the powder may clump a little bit and really mixes into smoothies and liquids better if you blend it. This may be a minor inconvenience, unless you were already going to use the blender, but it is worth it in order to keep this powder as natural as possible. Since there are no fillers, this protein powder is actually easy on the digestive system and doesn’t cause any pain or discomfort, which is sometimes caused by fillers like xanthan gum and guar gum. Reliable Brand: Instead of buying from a big faceless corporation possibly overseas, when you go with this protein powder you are buying from a small family business right in the USA. They are committed to creating the highest quality beef bone broth protein powder at an affordable cost to you, and quality and satisfaction is what matters most to them. That’s why if you’re not happy with the powder, you can return it for a refund, no questions asked, within 60 days of purchasing it. You don’t see offers like that very often when it comes to food items and supplements, so when you do it’s a cue that they really care about their product and their customers. Buying from a small family company also feels more personal and their prices beat some of the bigger brand names, even though the powder itself is just as good, if not better. Nutrient Packed: A very slow process is used to extract all the nutrients from the cattle bones. 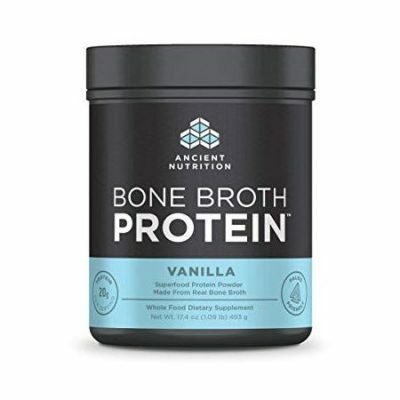 Although a faster process could be used, the nutrients wouldn’t be as well preserved, resulting in a lower quality beef bone broth powder, making the slow extraction process key to this protein powder. The beef bones are packed full of important nutrients like collagen, gelatin, glucosamine, amino acids, and chondroitin. These things work to keep multiple systems in your body healthy and can aid in muscle repair and recovery. Glucosamine is known for promoting joint health, easing joint pain and stiffness, and even improving joint function in people with knee and hip osteoarthritis. Beef bone broth powder, especially this one, is known for being easy on the gut and actually promotes gut health. Versatile: This protein powder works just as well in a smoothie as it does in a nut milk. You can put it in pretty much anything you can think of, including water, juice, milk, or milkshakes. The vanilla flavor adds a creaminess, but not one that is overwhelming, it still mixes well into other things. It is also available in chocolate if you prefer, which has all the same benefits as the vanilla. The only thing about this powder is that you have to mix it very thoroughly since there are no thickening agents or non-clumping agents. It works best being blended in a blender or using a handheld mixer, but try to keep it on a lower setting to avoid excess foam forming on top. Ingredients: Pasture-Raised Bovine Hide Collagen Peptides, MCT Oil, Cocoa Powder (processed with alkali) Natural Flavors, Salt, Stevia Leaf Extract, Reb A Stevia Leaf Sweetener. Keto Friendly Collagen: Lots of supplements overlook the benefits of collagen, especially while on a ketogenic diet. Collagen is naturally produced in the body, but like many other compounds, it decreases with age, which may be the reason behind wrinkles, dry and brittle nails, and dull skin. Collagen is also found between joints and is responsible for keeping joints from rubbing together, the loss of collagen over the years can lead to weak bones, joint pain, and even joint degeneration. By taking a collagen supplement, you are promoting healthy skin and hair, as well as reducing joint pain, and promoting a healthy gut. Collagen can be especially useful while on a ketogenic diet because it also boosts your metabolism and energy output, which when combined with other ingredients, creates a high energy fuel for your body. MCT Oil Powde: Kiss My Keto has 5 grams of MCT Oil powder in every serving. It may not sound like a whole lot, but it is enough to increase mental focus and athletic performance. Overloading the mix with MCT powder would cause it to have a bitter taste and may cause an upset stomach, so we’re ultimately very happy with the 5 grams of MCT oil powder. MCT powder is great for getting your body into ketosis, which is the main purpose of a ketogenic diet. Protein Boost: For some reason, you typically don’t see a lot of protein in keto supplements. So it’s always nice to see a supplement breaking the mold and putting a little protein boost in their keto supplement. With 9 grams of protein in every serving, and only 3 carbs, this mix makes a perfect pre workout or mid day pick me up. A clear advantage of this supplement is the creamy, chocolate flavor. You can easily mix it in hot or cold drinks and it’s easy to take on the go. This makes Kiss My Keto very versatile and adaptable. It’s important to keep your expectations realistic though, this doesn’t taste like a chocolate shake. However, it can be a great way to indulge in that great chocolate taste without ruining all your hard work and ketosis. The only downside to this supplement is the cost. It is the most expensive one on our list, per serving. However, this is the only one that offers 100% pure grass-fed bovine collagen. The collagen is what sets this supplement apart and makes it still worth buying. As long as it works, I think it is worth the money. Thanks to the protein packed into every serving, this protein powder gives you an energy boost and can even enhance mental and athletic performance. You may find it is easier to stay on task or get something finished after taking this powder. You may also notice that you can push a little harder during your workout and do more. This doesn’t mean you’ll be five times as better as you were yesterday, but it will allow you to push your muscles farther and then help them recover as well, meaning you’ll see faster results. These are also benefits of maintaining ketosis in your body, which you probably already know if you are on the keto diet. Smooth Texture: This protein powder has a texture that has been described as smooth and creamy, which goes well with lots of things. You can add this powder to coffee and not have to worry about a waxy film on top like you would with esters or regular coconut oil. It also mixes into liquids very easily and can be mixed in by hand using just a spoon, clumping isn’t something you have to worry about with this powder. 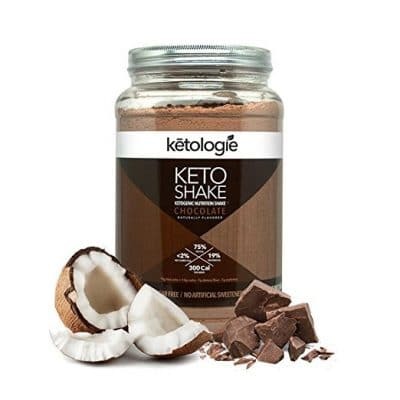 Some protein powders also dissolve and have a very gritty texture, which can be unpleasant and artificial feeling, but not Ketologie. Unique Coconut/ Bovine Blend: Many protein powders may be extracted from bovine bone broth or coconuts, but not many combine the two. The combination is great because it gives you a full range of amino acids and BCAAs, while also giving you a hefty serving of protein. Not to mention, the bovine collagen can boost hair and skin health as well as help build muscle and burn far. And even though the top two ingredients of this powder are coconut oil powder and bovine collagen, you can’t taste either one of them, it just tastes like a great chocolate protein shake. Powers Your Day: Since this powder is so easy to mix, it is also easy to take with you on the go. You can measure out a serving and put it in your gym bag to use later as a pre workout, or mix it into a shake and drink it on your way to work. No matter how you use this powder, it can help get you through your day and provide you with energy when you need it. It can also help you meet your daily protein requirement, which is very important when you are on a low carb diet. There is no exact amount of protein that every person should be getting, but there are a few guidelines you can use to determine how much protein is right for you. Typically, it is recommended you eat at least 0.38 grams of protein per pound of body weight per day. For example, if you weight 200 pounds, that would means eating 76 grams of protein a day. Athletes or people who are focused on building muscle may need more than that, though. However, the best way to find the best level of protein and other macronutrients for you is to play around with your diet until you find what works. You can also use a macronutrient calculator which will break down all your macronutrients for you and tell you how much you should aim to get based on your specific weight, height, activity levels, and goals; there are several of these calculators available online for free. Knowing how much protein you need each day will make it easier to evaluate whether you even need a protein powder, although you probably do, and it allows you to figure out exactly how much protein powder you need to supplement your diet with each day. There are tons of sources of protein, so it only makes sense that there are several different kinds of protein powders. Some of the most common sources of protein in protein powders are beef, whey, casein, collagen, and egg whites. Knowing a little about each one can make it easier to decide which is best for you. Whey and casein powders are both derived from milk and are both very rich in amino acids. The main difference between the two is that casein is digested slower, so it tends to keep you fuller longer. While milk based powders are very common, they are not right for everyone, especially those with dairy sensitivity or that are lactose intolerant. Which is where the beef and egg whites based protein powders come in. Beef protein powder is a great dairy free alternative, although not vegetarian friendly, but egg white protein powder is. Egg white protein powder also tends to contain more BCAAs and our body can effectively use more of it. When it comes to protein powders, it’s more than just the top ingredient that is important. Some protein powders are packed with carbs or unnecessary additives that essentially negate all the reasons to take it in the first place. Keep an eye out for artificial sweeteners like high fructose corn syrup and sucralose. You should also keep an eye on protein, carb, and fiber levels. A powder with a little high quality fiber is always a huge plus. Although taste is far from the most important feature of a protein shake, you certainly should consider it. Keto protein powders come in a wide variety of flavors, so there’s probably at least one you’ll like. Don’t compromise for a flavor you know you won’t like because it’s just a waste of money. Lots of people also opt for flavorless protein powders because of how easy they mix into other things, like smoothies and coffee. Although flavorless powders are usually not totally flavorless and can have a somewhat strange taste if you mix them with just water. But when combined with other things, like coffee, their taste is masked and totally unnoticeable. These are just the tip of the iceberg when it comes to protein powders, but they are some of the best choices available right now. 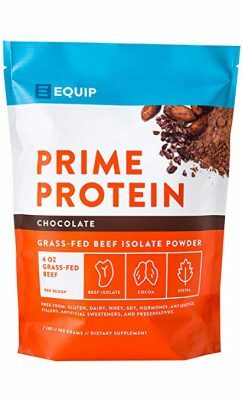 However, if one powder has to be crowned king, it has got to be the Prime Protein Chocolate Beef Paleo Protein Powder by Equip Foods. Prime protein is packed full of protein and not much else. Protein can have somewhat of an unpleasant taste, but the Stevia and cocoa powder does a great job of covering that and making it much more palatable. There are also absolutely no added fillers or sugars, so you are getting what you need and nothing you don’t. The beef broth protein isolate gives you with energy that will last you several hours, instead of running out and crashing shortly after consuming it. Since it is made from beef bone broth isolate, there is no gluten, milk, or soy in this powder. The only real downside to this protein powder is that it isn’t vegan or vegetarian friendly. 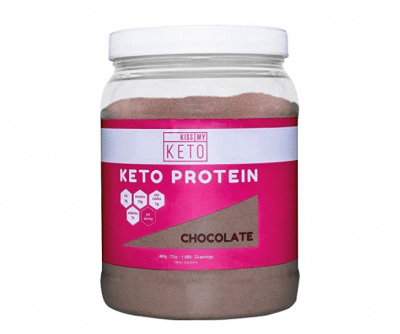 However, if you aren’t vegan or vegetarian, and you are looking for a protein powder to compliment your ketogenic lifestyle, look no further than this Chocolate Beef Paleo Protein Powder by Equip Foods.